This 6 Pc. 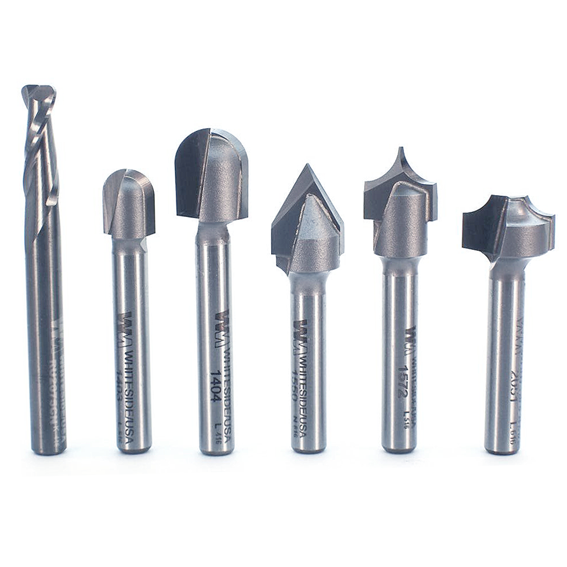 CNC Router Bit Lettering Set from Whiteside is perfect for creating a wide variety of 2D and 3D letters, signs, and decorative artwork using small CNC machines. All Bits are solid carbide or carbide tipped, have a 1/4" shank. Set comes with a plastic storage case. Whiteside Machine Company - Claremont, North Carolina.